Born in 1971, İbrahim Çapak started his education life in Bingöl. Upon graduating from primary and secondary schools, he completed his high school education at Bingol Imam Hatip School (Religious Vocational High School) in 1989. He received his graduation diploma from Marmara University, Faculty of Theology in 1994. 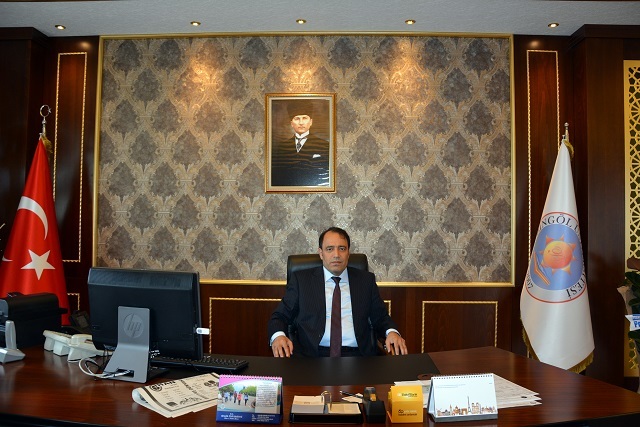 After a short teaching experience, he pursued his academic life at Sakarya University in 1997 and received his M.A. in the same year. Çapak received Pd.D. from Ankara University in 2003 with the thesis entitled Gazali’nin Mantık Anlayışı (Ghazali’s views on logic). Having received the title of associate professorship in 2006 at Sakarya University, he became professor six years later. At the same university, he served in various positions such as the Head of Department ,Deputy Head of Department and Deputy Dean. In August of 2013, he moved to Istanbul University, Faculty of Theology where he served as the Head of the Department of Logic. He was engaged in conducting researches in different countries on behalf of the university. He contributed not only to Istanbul University but also various other universities during his academic career in Istanbul. Subsequently, he was appointed as the Dean of the Faculty of Theology at Cyprus Near East University. Alongside his faculty post, he served as the Director of the Center for Islamic Studies at the same university and Coordinator of the OSYM (Assessment Selection and Placement Center) for Turkish Republic of Northern Cyprus. Çapak is a member of publishing committe of the Ministry of Culture and various editorial boards of many institutions and journals. Prof. Çapak knows Arabic and English and has two children. Çapak has published a large number of scientific studies both in Turkish and other languages.